Product Description: Crafting an elegant look that blends the artistic with the stylish? 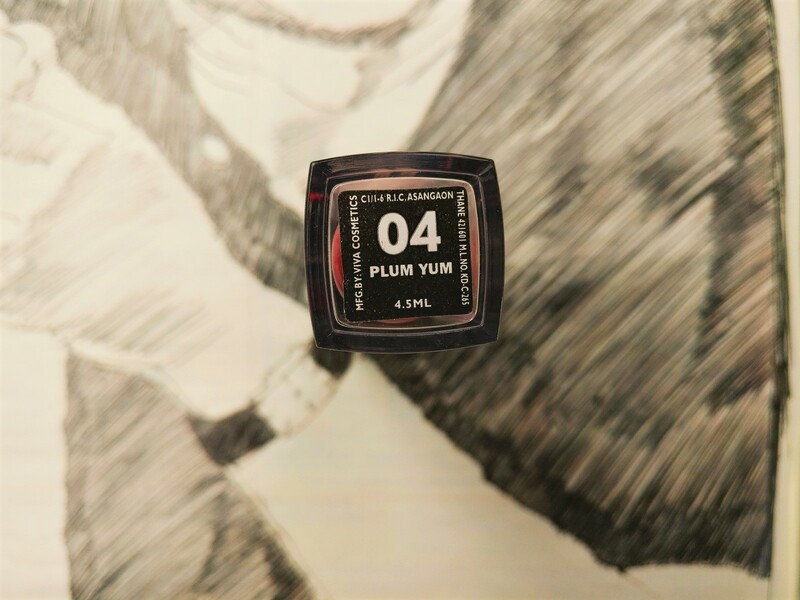 Embrace the mild tones of Plum Yum whose muted berry shade with its immortal appeal is bound to weave an aura of grace around you. If you've ever lusted for a "one-coat wonder" product for your lips, your search ends here. 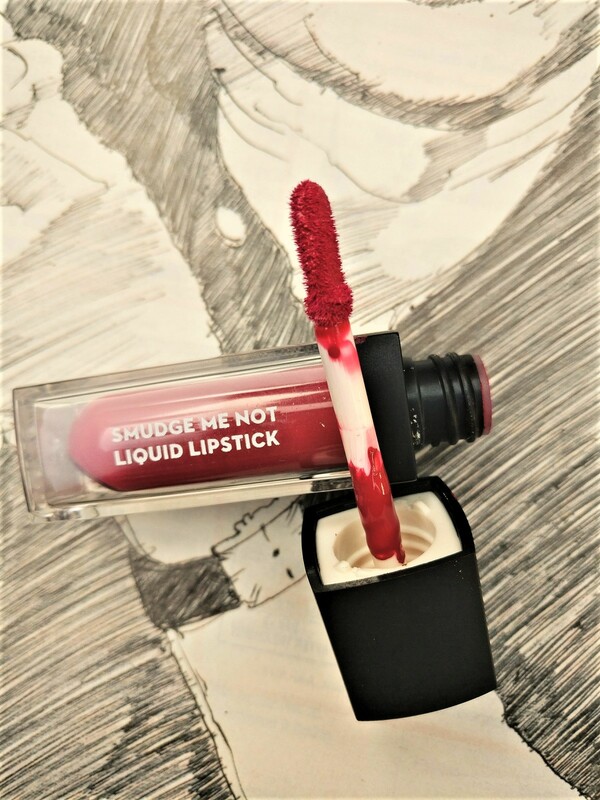 Get a full-blooded burst of pigment with just a single swipe of the SUGAR Smudge Me Not Liquid Lipstick that will stay the day and right up till the night! Wine, coffee & date-proof - this is a matte lipstick that is guaranteed to last longer than your longest day. Available in 10 stunning shades that will make it difficult to choose - the question is, are you ready to commit to a lipstick that is built to last? 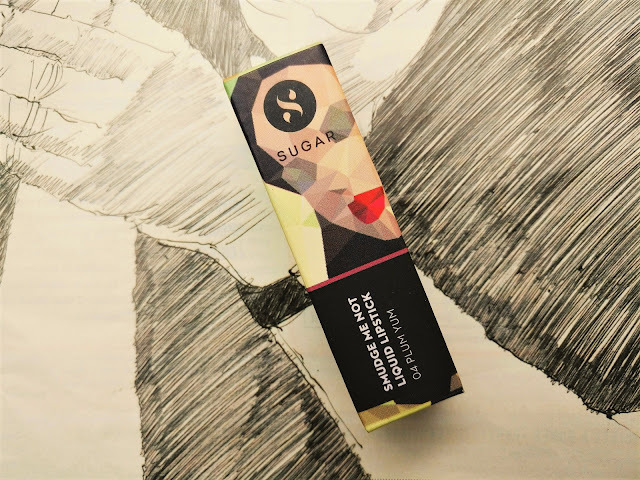 Benefits: The SUGAR Smudge Me Not Liquid Lipstick gives you opaque pigmentation with a single swipe that stays all day with zero feathering or fading. Our favourite mattifying fix contains a generous helping of Vitamin E and comes in a full range of 10 gorgeous shades that is guaranteed to make your OOTDs stand out! This product is dermatologically tested & approved and 100% safe for your skin. Packaging: Is it only me or do you also feel it looks somewhat similar to the MNY’s Velvet Matte lip-color? This lippie comes in a plastic glass-look-alike cuboid tube with a matte black lid. The logo is made of the brand is designed on top of that. It is very petite and can be tossed into the bag quite conveniently. Travel friendly for sure! Applicator: It comes with a doe foot applicator which helps in easy application of the liquid lipstick. I did not feel the need to outline the lips but then for precision, you can go ahead and line your lips with a lip liner of identical shade. My Experience: This is a recommended pick if you are on a budget. The colour is a beautiful pink, not exactly plum but kinda medium pink with no blue undertones, which would go so well with Indian Ethnic wear. The formulation is lightweight; you’d hardly feel there’s anything onto the lips.😃 One thing you need to make sure is prep your lips before applying the lipstick lacquer. 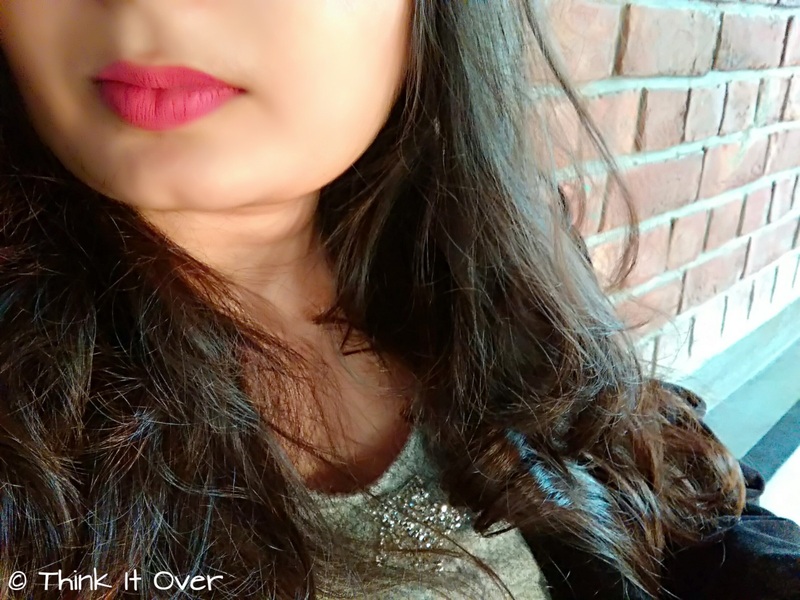 Apply a thin layer of lip balm and blot off the excess and then work with this lippie. It does not settle into the fine lines. Sets into a beautiful matte texture and does not budge or smudge as the name suggests. Not a lot of time is taken for it to turn matte completely. It can resist snacks and water sips but full-fledged oily meal would break down the lipstick and it would come off from the center of the lips; the edge might still be intact. 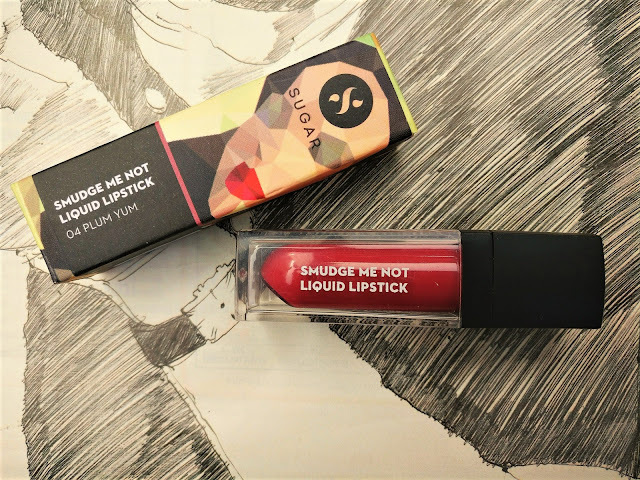 The longevity is what I adore in Sugar Cosmetics! It can stay for more than 6 hours. I swatched it on my hand and the colour intensity did lighten once I washed it off with soap and water. But a soothing tint is left behind, though not evenly.